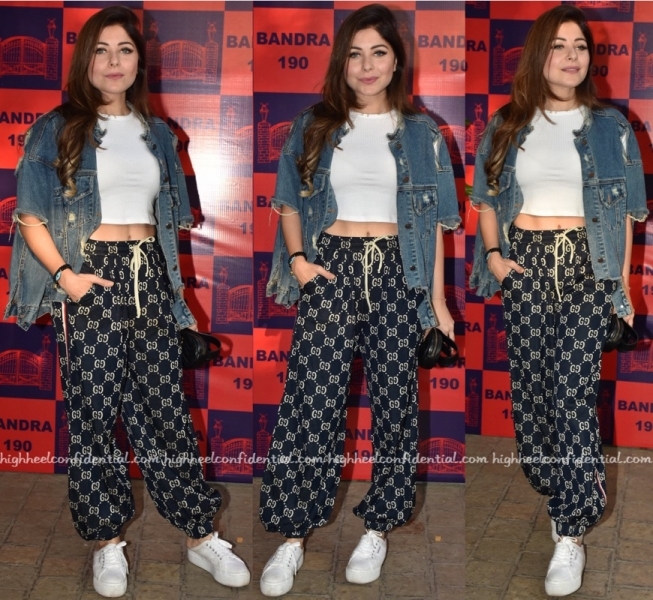 For her appearance at a recent fashion pop-up in Mumbai, Kanika picked a pair of Gucci monogramed pants wear. Pairing it with a crop-top and distressed denim jacket, the songstress rounded out the look with sneakers and a Gucci belt bag (holding it like a clutch). Think she makes the look work for her? Teaming her House of Chikankari lehenga with a grey sequin crop-top, Kanika attended Kapil Sharma’s wedding reception in Mumbai. Pretty as the lehenga/skirt was, the choice of top was a downer; it made the whole look seem rather dated. 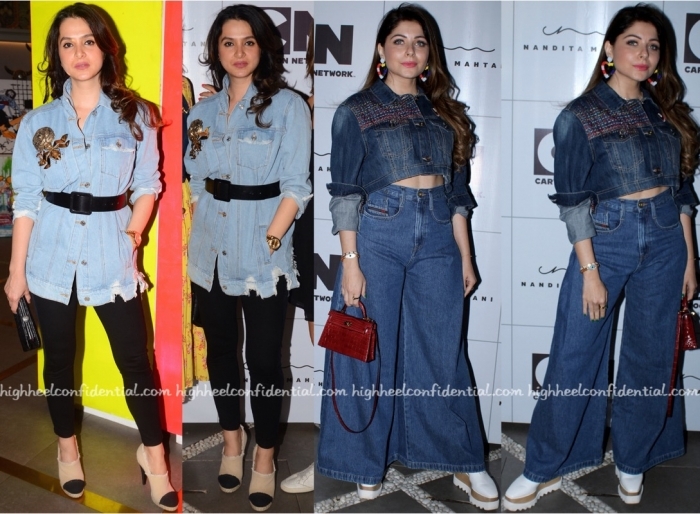 For her appearance at a recent event, Kanika picked crinkled velvet suit from Topshop to wear. Teaming it with a bustier, the songstress rounded out her look with a sleek ponytail and black accessories. Not much to fault here, she worked that look!